10 lb. 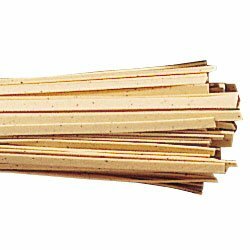 Bulk Box of Lemon Pepper Fettuccini Pasta by Rossi Pasta at From Healthy Food to Healthy Life. Hurry! Limited time offer. Offer valid only while supplies last. Rossi Pasta Lemon Pepper Fettuccini. 6.00mm wide. Cooks quickly, in about 3 1/2 to 5 minutes. Lemon juice, lemon peel, black and cayenne pepper. Rossi Pasta Lemon Pepper Fettuccini. 6.00mm wide. Cooks quickly, in about 3 1/2 to 5 minutes. Lemon juice, lemon peel, black and cayenne pepper. Tart, some bite. Demanded by many restaurants because of its versatility. Great with seafood. One 10 lb. box.